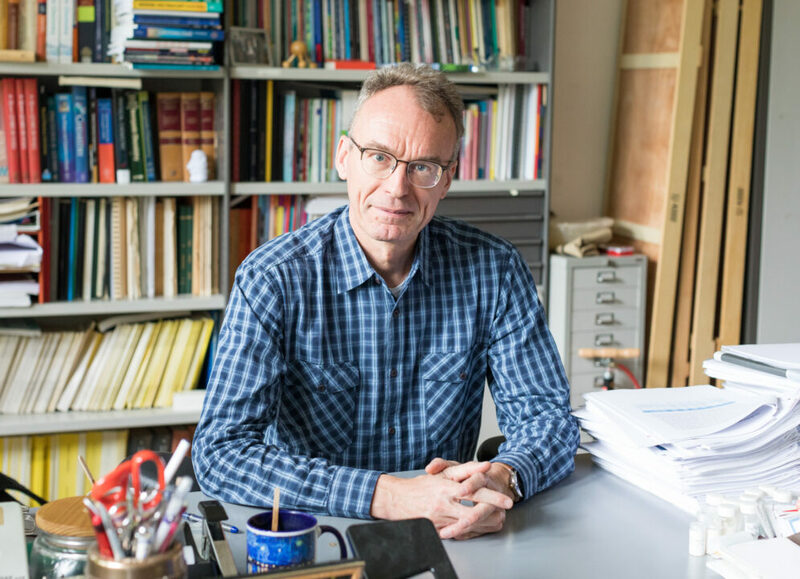 Andries Meijerink is Professor of Solid-State Chemistry at Utrecht University and was, as a former board member of Ammodo, closely involved in the creation of the Ammodo Science Award. He is a member of the Royal Netherlands Academy of Arts and Sciences and has won several prizes, including the Centennial Award of the Electrochemical Society, the Gold Medal of the Royal Dutch Chemical Association, the Shell Incentive Award and the DSM Prize for Chemistry and Technology. UV radiation generates various colours of light in luminescent materials for fluorescent tubes, LED lamps and X-ray photography. 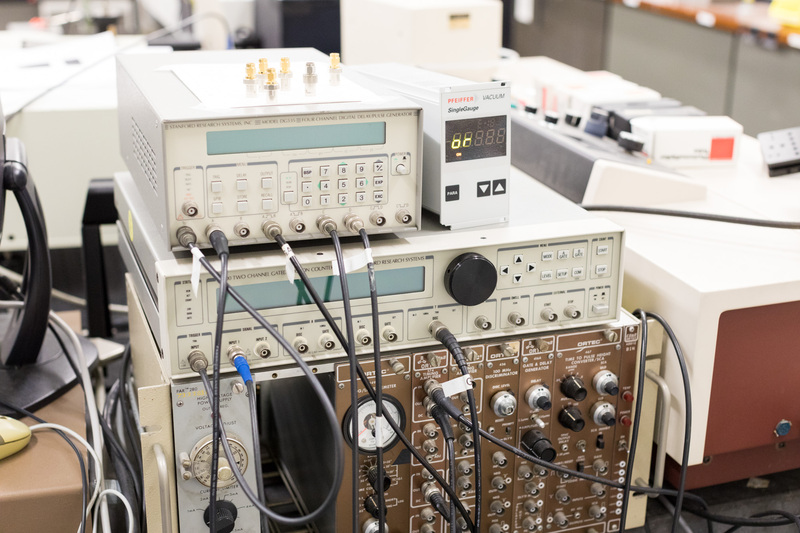 What are you currently working on in your role as professor of Solid-State Chemistry? 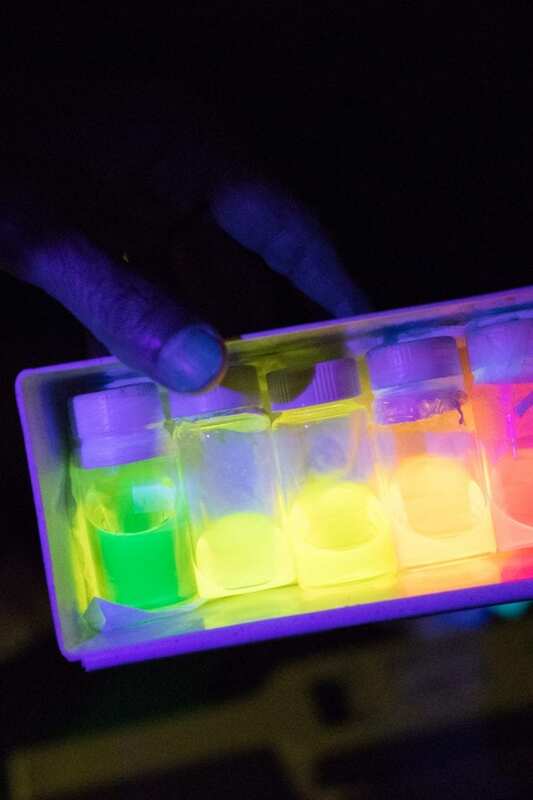 I work on materials that convert invisible radiation into visible light. A very familiar example of this is hanging above us on the ceiling: the fluorescent tube. It is a simple glass tube with mercury in it. When you switch it on, the mercury begins to evaporate and electricity travels through the mercury vapor which causes this to emit UV-radiation, very efficiently. On the inside of the tube are powders that absorb UV and convert it into white light. There are three types of powder: one that converts UV into red light, one into green light and one into blue light. When these are mixed they give us white light. Is there still much to be discovered? Not really about the fluorescent tube. But there certainly is about the successor to the fluorescent tube, the LED lamp. There is a blue LED in the white LED lamp. You connect that blue LED to a voltage source, the current starts and you get blue light. In 1996, a Japanese company combined the blue LED with a yellow luminescent (luminous) powder, which gives you white light. But it is still a very cool white light. That is the light that you now have in your mobile phone, for example. If you want to make it suitable for the living room, you also need to add a red luminescent material. And that still needs a lot of work. The red phosphor that is currently being used is in fact quite broad-band red. This has the disadvantage that an important part of that light is in the deep red part, where the eye is not very sensitive. This means that such a lamp is less efficient. So one of the holy grails in our research is the creation of narrow-band red. 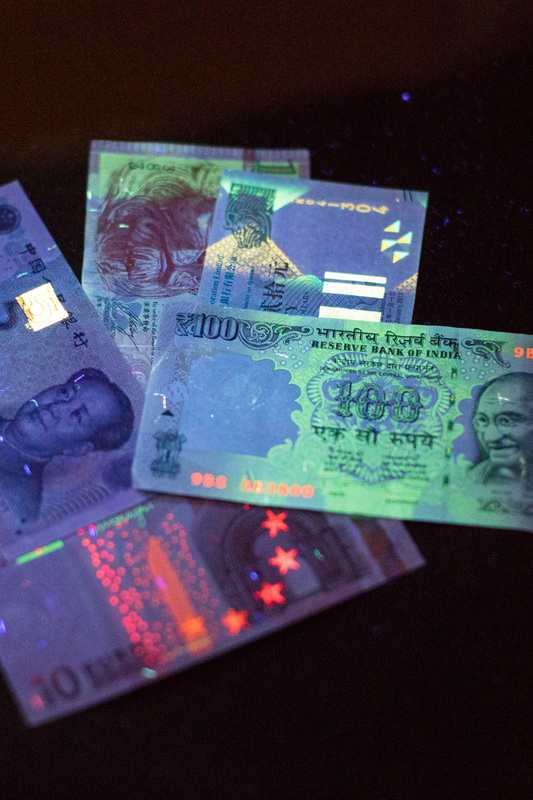 Banknotes from many countries are protected with luminescent materials that light up under a UV lamp. You were closely involved in the creation of the Ammodo Science Award. In your opinion, what does this Award add to the existing prizes available to scientists? There are many prizes for young scientists: dissertation prizes, incentive prizes. There are also many great prizes for established or proven scientists. But in between, for people of around the age of forty, there was actually nothing at all. And that is exactly the stage where many scientists are at their most creative. They have just established their own research group, they can spread their wings. This seemed to us to be a deserving group for a new prize. Together with the board of Ammodo, we therefore decided to allocate a considerable amount of money to mid-career scientists who are engaged in fundamental scientific research. Why is fundamental or ‘pure’ science so important? Fundamental science is the most creative form of science which eventually, years later, results in the most important scientific applications. Applied research is also important – and I am involved in a number of projects with companies which result in very good fundamental ideas – but it is from fundamental research, where a scientist is free to follow his or her own wild and creative ideas, that the best results often come. It is also often groundbreaking, resulting in real scientific progress. Often, applied research is designed as ‘you have an existing concept and you want to improve that existing concept’, but that is not true breakthrough technology. New breakthrough technology comes from fundamental research. And that can take twenty or thirty years. All the modern technology that we enjoy now is a result of fundamental research from a long time ago. Can you give an example of a breakthrough caused by fundamental research in your own field? The laser was discovered in 1960. Initially, the most important application of the ruby laser was to do fundamental research on rubies. 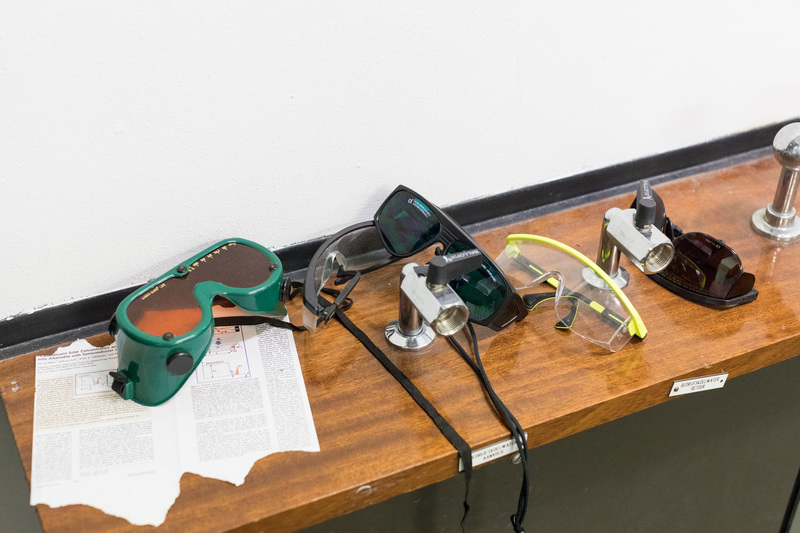 Now billions of lasers are made every year with many different applications. Applications can not be predicted. But what you can predict is that fundamental research will lead to a better understanding of nature. And that a better understanding of nature leads to new applications in the long term. Ultimately, this is also the abstract, higher goal of science: understanding nature. What is going to happen in your field? When I look at lighting, LED lamps are almost at the limit of what can be achieved in terms of efficiency. But if we get to the stage where electricity is almost free because we have very efficient solar cells and enough sunlight, then efficiency becomes less important. And then I can imagine we will develop new light sources. We may simply have walls that give light and combine that with other functions such as displays. Of course, all sorts of new applications may then emerge. How does fundamental science in the Netherlands relate to the rest of the world? The Netherlands is doing really well. When I look at how little money our government invests in fundamental research and how well the Netherlands is doing, there really is a very high level of pure scientific research. You can not measure the exact quality, but if you look at the reputations of Dutch scientists throughout the world and the impact of their results, it is very strong. But sadly it is slowly declining. Why is the impact and prestige of Dutch scientists declining? The Netherlands is lagging behind in terms of investments in fundamental research. That makes the Dutch scientific climate less attractive. You also see that many good Dutch people go abroad. And we have difficulty encouraging our brilliant young researchers to opt for an academic career here. In Germany, a professor often has three or four PhD students from the university who do free, unfettered basic scientific research. Cutbacks have wiped this out completely in the Netherlands. What will it take to keep the Netherlands at the top of the scientific world? Fundamental science needs more support. And I see problems with this. Currently, research groups that do socially relevant research can get money relatively easily. There are a lot of possibilities within the Top Sector Chemistry. Some of the money comes from NWO, some from the Ministry of Economic Affairs, and a small contribution comes from companies. There is a lot of money there. 60% to 70% of research proposals in these areas are honoured. That percentage is very high. So if you are like me and do research with relevance for companies, it is not so difficult to get funding. But I am very aware of extremely good fundamental research groups that have no connection with companies. They have to approach NWO for the unallocated resources and the success rates are 10% or lower. So there are very good groups that have a hard time getting funding. And that also makes it less attractive for outstanding foreign researchers to come here. I am sorry to say that a large part of NWO’s money, which was previously intended for free, basic research, now goes to applied research where it is mandatory for a company to be interested in the research. So you would argue for a redistribution of the money from NWO? Yes, more money needs to be spent on purely fundamental research. To give more support to those groups that do groundbreaking research, but do not have a connection with a company. And I am not alone in that. Nobel laureate and former board member of KNAW Ben Feringa, for example, is also a supporter of fundamental scientific research. And that is how it should be. It is not because we want a lot more money, but that we need to see a shift in its distribution, so that more funding is available for fundamental research. For the third edition of the Ammodo Science Award, nominations can be submitted up to and including 15 September 2018. Nominations can be made via the website.